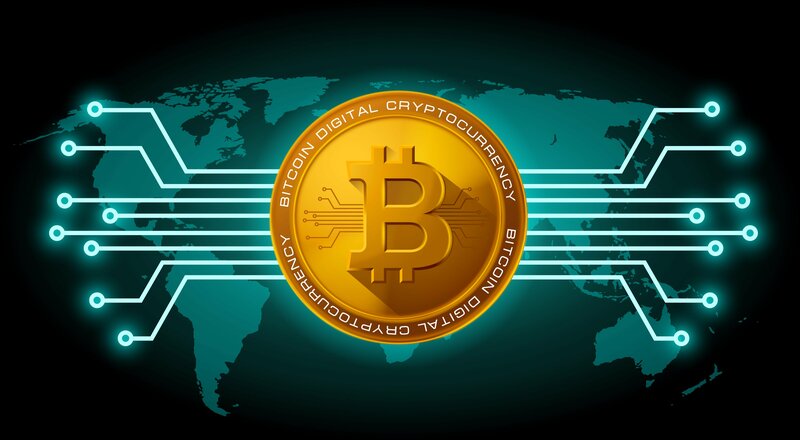 The world of cryptocurrencies remains as volatile as ever and while Bitcoin breached its death cross – a key technical level where the 50-day moving average falls below the 200-day moving average – the bulls remain adamant that this is just another one of the legendary Bitcoin ‘HODL’ moments. Before I go any further, this iteration of the crypto conundrum will deal primarily with the investment so if you want a gentle (but very thorough) primer on the prerequisite knowledge leading up to this, do check out the rest of our crypto conundrum series. Cryptocurrencies is an extremely misleading term. Cryptographic-digital-assets would probably be a more accurate term for what we call “crypto” for a wide variety of reasons that we will go to in detail in this peace. Some cryptocurrencies are like securities – but some aren’t. The statement might seem confusing to a beginner but someone who already trades would probably tend to disagree with me. It’s the new face of the stock market and fundraising – I know! Just hold your horses. Investment in cryptocurrency right now is probably one of the riskiest things you can do. Do NOT invest anything you cannot afford to lose entirely. This is not just legal boilerplate, I mean it. With cryptos acting in essentially pure market economics, a complete wipeout of value not only can happen – does happen more frequently then you probably think. Finally, this is not meant to be professional investment advice. These are “just” some basic guidelines, given on an as-is basis with no strings attached and you use them entirely at your own risk. Always research what you are about to invest to the best of your ability. So let’s start with the first point: why I think cryptocurrencies is a seriously misleading term. The word currency is used for a very specific purpose, ie that of an item used as a medium of exchange or tender. The first cryptocurrency, Bitcoin was very much a digital currency but cryptos like Steem and Ethereum couldn’t be further away from that concept. Think of cryptocurrency as a globally traded ‘stock’ (I use this term in great duress due to reasons you will see soon) which represents an underlying asset. 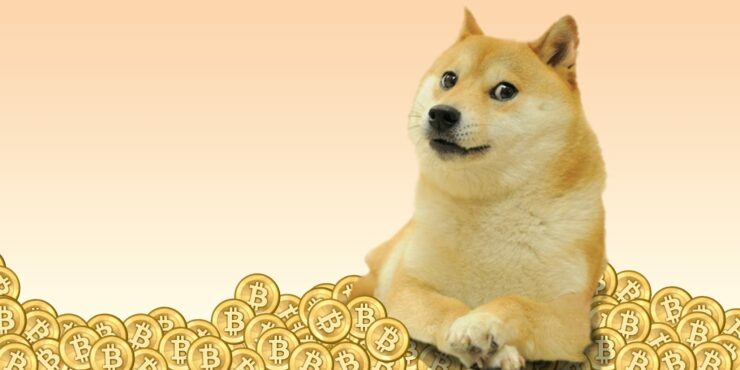 This asset can be anything: a currency, a company, a security, or even a bad joke (ahem DogeCoin). Now in the case of cash cryptocurrencies, like Bitcoin and Litecoin, these represent just the ‘stock’ itself and some part of the community vision and nothing more. This is why the term cryptocurrencies came into being – since it’s a reasonably accurate description of what these stand for (or at least aspire to be). We can call these the first generation of cryptographic assets. What happened next, however, changed the rules entirely. We saw the advent of ICOs or Initial Coin Offerings as second generation crypto hit the market; where companies and startup would float a coin to generate funds. These cryptocurrencies were never meant to be used as digital cash – instead, they were supposed to represent the value of the company that raised the funds. So if you invest in let’s say, XYZ ICO, the aim of this particular crypto will be to rise in value as the underlying company grows – pretty much how a conventional stock would act. But here is the catch, ICOs remain out of the jurisdiction of the SEC and other regulators for the time being because they are not classified as securities in the traditional sense, even though you are effectively still investing in a company. The only reason they could not initially be termed as securities was that unlike a stock which gives you a % power to influence the company by vote, or a claim to the company’s profits by way of dividend – initial ICOs did neither. So while you could still reap some epic capital gains you still had no legal claim over the underlying company. Most crypto-investors couldn’t care less for things like vote or dividend since capital gains in this tier of investment are insane, to say the least, but this is an important distinction to make. Then came the third generation of crypto which are most easily seen as conventional securities. This is also where the regulators started to unfurl their wings and get into position. Crypto with coded voting powers and dividends had arrived. One tier of this brand new security was the DAO – or Decentralized Autonomous Organization which would be ruled entirely by holders of the overarching crypto coin. So if XYZ’s Blockchain was coded as a DAO – and you held XYZ coin, you would be able to influence it just like any other security out there. All that said, the Bank of England, SEC and other regulators have made it very clear that even first generation ICOs or in fact anything related to raising money for a company can and should be viewed (and presumably regulated) as a security going forward. We believe that this is something that will eventually integrate into the world of finance. This latest generation of crypto is indistinguishable from traditional securities (except the fact that its fast of course) which makes it ripe for regulation and scrutiny by the international regulators. Whether the crypto market crashes and burns and conventional banks adopt the technology internally or it rises to the moon (Ed note: mooning is a term used by crypto investors to refer to insane jumps in value) – Blockchain technology is here to stay – the only question is, can you still make money off of it? I hate to start with a pessimistic approach to be blunt about it – the golden era of investing ended in mid-2017. The “mooning” train left the station then and it remains to be seen whether another one will arrive anytime soon. But just like the gold rush while the stuff on the surface is gone, there might hidden reserves underneath (or equally as likely a pile of dirt). So how do you find it? Well – you can’t. Not really. You can just make educated guesses and hope the market proves you right. Let me give you an example and pick up from the first paragraph. Bitcoin’s legendary HODL moments are periods in its timeline where BTC loses the vast majority of its value and then bounces back stronger than ever. It has happened multiple times in the past and cryptocurrency bulls are insistent on the fact that it’s happening now as well. The problem is there really is no way to know for sure. This could be the Bitcoin bubble bursting just as easily as it could be the decline leading up to the next legendary run up. Bitcoin dominance is simply put a % of how much the market capitalization of bitcoin denotes the total market capitalization of the cryptocurrency market. In periods of decline and when bearish trends reign supreme, this metric seems to rise as value consolidates to the founding cryptocurrency. We have seen values go to the lower 30s during the boom experienced late 2017/early 2018. It currently stands at 45%. This is seen by cryptocurrency pundits as the biggest problem right now with the market. Cryptocurrencies that have no relation at all to Bitcoin move with it. The correlation and covariance factor of the entire market with Bitcoin is extremely high and this is a problem. Companies like Ripple and Steem have no bearing on Bitcoin and no causal link – yet they will fall when Bitcoin falls. This is why Bitcoin dominance is a key metric to look at – where lower the value, the better it is for everyone. In our opinion, the market will need to achieve a Bitcoin dominance factor of at least 10% to finally break free of the damning causal link seen between bitcoin and cryptocurrencies at large. 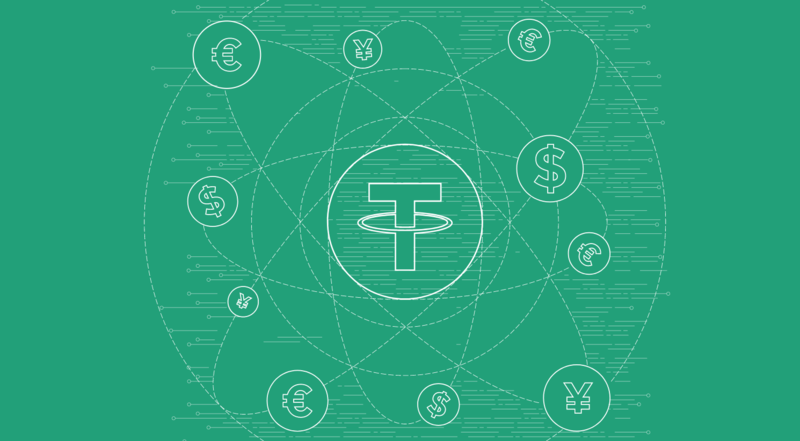 Tether or USDT is the primary liquidity provider in the crypto market right now. Each USDT coin equals exactly 1 USD. The USDT supply is supposedly backed 1 to 1 to actual dollars held in an account by the Tether holding company. The primary objectives that this crypto currency achieves is that of digital dollars. It represents an international, digital, fast dollar that anyone can buy and freely use. It also represents a safe heaven for crypto investors that want to park their total value outside of market movements or hedge as the situation may demand. If you are someone who likes to day trade, then parking your total portfolio value in USDT is one option that you can pursue (as opposed to going to an exchange and converting into real USD every time). There are, however, a few caveats associated with USDT. There have been rumors that they might be short of their promised 1-1 ratio. In fact, the last audit was completed in September 2017 and we haven’t had another audit since. During that time the total supply of tether has increased multifold and an audit is absolutely necessary at this point. The Tether holding company recently fired its Auditor and this is something that really doesn’t bode well for something that’s acting as the pillar of the cryptocurrency market right now. In fact, the holding company has actually been subpoenaed by a US regulator. So if you are planning to use USDT – just know that they carry a slightly larger risk then actual USD. Is Tether really 1-1 to USD? Many people lament the disconnect between trading paper gold and there being physical bullion to back it up in a vault somewhere. Well, you’re looking at potentially the same issue here. If tether turns out to be held at less than a 1-1 ratio, this may cause problems. Most ICOs launched in the crypto space are known as whitepaper ICOs. What that means is basically that either they are a blunt cash grab or they have a very inexperienced team behind the scenes that has almost no chance of rolling out a finished product. In other words, you are almost certainly going to lose your investment over the long run. The first thing to look for while investing in any ICO or crypto, in general, is whether it has a 1) a decent working paper 2) an MVP or 3) a commercially viable product. We have actually seen some cryptocurrencies that don’t even have a whitepaper while some that do have marketing material acting as a white paper. By definition a whitepaper is supposed to be technical and academic in nature, if you see too many flashy graphics, chances are it’s designed more to attract than to actually impart the fundamentals of the product. This is why we would urge you to look for cryptos that at the very least have a working MVP if not a commercially viable product. 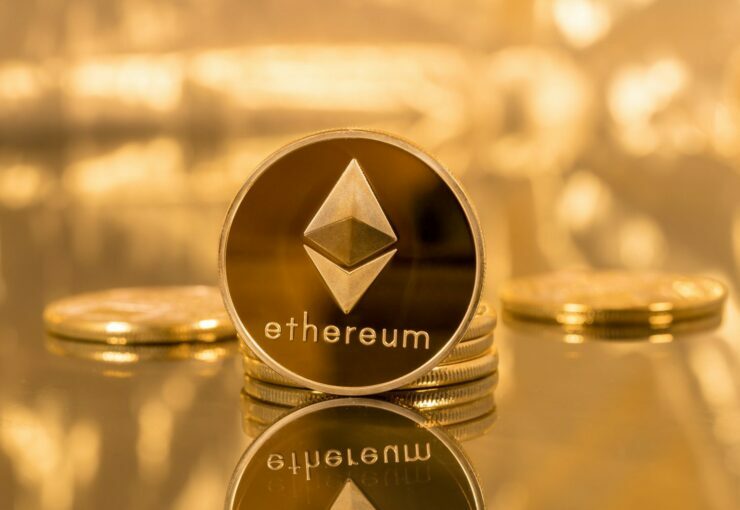 Cryptos like Ripple (with their payment systems), Ethereum (with the Ethereum Virtual Machine) and Steem (with its cryptographic social media) all have commercially viable products. Coins like Propy have MVPs or minimum viable products which are at least a working proof of concept. Then you have coins which have a good looking whitepaper but no product yet – I am not going to name any here since a lot of people read this site and we do not want to be seen condoning any such coin – and finally the utter trash which either whitepapers with pure marketing nonsense in it or no whitepaper at all. In a traditional market, investors act rationally. Which means that if a stock is crashing, you can reasonably expect money to move out as traders cut their losses. The crypto market is, well, unpredictable to say the least. In other words, you would be surprised at how counter-intuitive and at times utterly ridiculous behaviors are at play here. 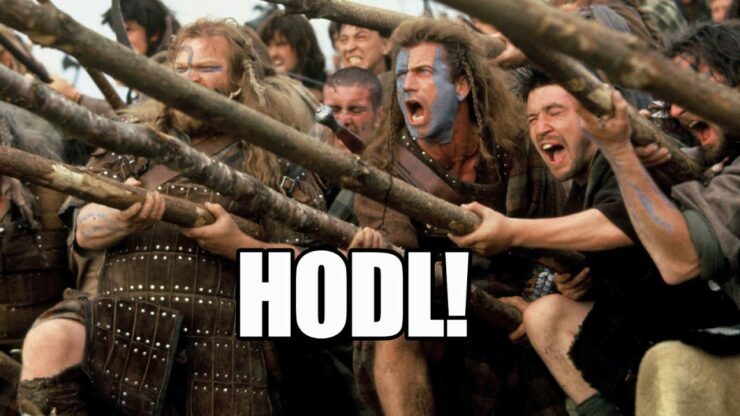 The HODL concept is one such controversial concept. While I won’t get into its legitimacy for coins that have already proven themselves like Bitcoin I will talk about how these can lead to facilitating pumps and dumps and even creating large bubbles in smaller coins. There are coins out there which literally beg their community to HODL no matter what and to not-sell even if the coin crashes – I am not making this up, you can find it easily if you really want to but I for one am dead set against not mentioning any such crypto. This type of behavior is exactly what makes cryptocurrencies such a double-edged sword. You can not easily predict this – any more than you can predict the ramblings of deranged lunatic. Most coins that suddenly rise in value nowadays will also just as suddenly drop in value. There are pump and dump groups out there operating via IRC (Internet Relay Chat) that coordinate efforts in large numbers to influence the market. Sell walls and buy walls are also an extremely common practice in small exchanges where ‘whales’ (early investors in cryptocurrencies who now own a sizeable chunk of wealth) can cap prices at sheer will. Since the only semi-regulated market right now is Coinbase and GDAX, we would urge new investors to stick to there since they do seem to be following at least a bare minimum of best practices. Niche crypto exchanges, however, are another beast entirely and will definitely be out of the skill level of beginners. Before I conclude with the key financial concepts I want to tackle one last thing: leverage. Some exchanges like Bitmex offer up to 100x leverage and while I am traditionally against using any kind of leverage in security plays, this is one thing that beginners can look at to whet their appetite. The reason I am able to say this is because unlike traditional leverage, you cannot lose more than your margin. The downside to this safety net is that sometimes, you will not get the entirety of what you earned. The concept of de-leveraging comes into play here. The exchange can only cash you out on an equivalent basis to the money currently in circulation in that exchange and if you get a pay out bigger than that during de-leveraging you will lose the difference. Exchanges like this are also mostly ridden with financial rigging so it would be a good idea to time your entry and exit points. with a 100x leverage, you can make $10 act like a $1000 worth of investment but since there is an interest involved, this is better off for short day trades and maximizing volatility plays. Pro Tip: the liquidity of the Bitcoin markets is the highest so if you truly want to dabble in leverage, BTC-USD is the market to do it in. Let’s conclude with some good ol financial concepts. As I mentioned earlier, some crypto gives out dividends. Interestingly, you will probably not see a hit on their crypto price when such a dividend occurs, unlike traditional securities where stock prices might ramp up to the point leading to the dividend and then dip shortly after. There aren’t a lot of them and they are mostly a niche item right now but they do exist. There is a distinct lack of crypto indexes as well but last we heard, Coinbase is aiming to change that but if you are someone who wants to have his/her toes in all baskets at once then you can take a look at setting up an algorithmic trader at any of the supported exchanges and cover as many bases as possible. There are also some existing AI hedge funds that operating under cryptographic tickers right now which you can also turn to. Staking is another important concept which you will have to get used to if you want to invest in crypto. Some coins can be staked, which means that you will get an interest on them corresponding to the amount that you hold. Some have a sensible rate like 7% while others have a nonsensical rate – like 200%. In the world of crypto, you can find pretty much any configuration that you would like to invest in. Airdrops and snapshots are also another common occurrence in the crypto world. Developers of new and emerging blockchains will sometimes take a snapshot of an existing prominent blockchain and then airdrop the new coin directly to these people to stimulate community involvement. Some coins are pre-mined which is to say that the developer already owns a large chunk of it and most of the times this results in a pump and dump. Valuing cryptographic assets is a very tricky field right now and academics are making headway into laying some early groundwork. But since that hasn’t been done yet, we would recommend everyone fall back to the basic fundamentals concept, if you see a crypto and thinks it has a good product – a working product, with a good, qualified team with industry experience – then you can probably make a case for investment in it. If you want to go the mathematical way, you can look up Metcalfe’s Laws and how some of its modifications can be applied to crypto. Finally – there are also some niche crypto avenues which you can use for investment. For example, say you set up 1 MW solar panel farm in your community – guess what, you are eligible to get free SolarCoin which is a coin that is given out to people who invest in solar tech. It’s not worth much at the moment but you get the idea – Crypto is a brand new territory and it has its dangers and rewards not to mention more than its fair share of eccentricities. This is a nonexhaustive list which aims to give you an idea of what to expect. This is NOT investment advice and you should always do your own research before spending your money on anything. 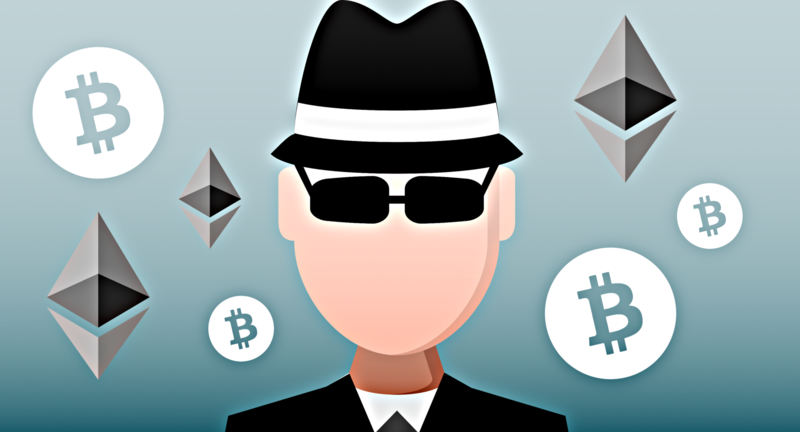 Particl (PART) coin and Pura (PURA) coin are both examples of highly fraudulent and ponzi-scheme cryptocurrencies respectively. Stay away from crypto that is purportedly being marketed by celebrities such as “Bitcoiin” which apparently had Steven Seagal backing it and the management dumped the coin as soon as it started trading. Utrust (UTK) is an example of a high-risk whitepaper ICO but that does at least pass the barest of sniff tests. ALQO (ALQO) coin is another example of a medium risk whitepaper ICO. Steem Dollars (SBD) and NuBits (USNBT) are alternative price stable cryptocurrencies each pegged at $1. Syndicate (SYNX) is the coin whose sole ambition is to create a currency which you HODL no matter what. Investment in irrational and childish coins like these must be avoided. CureCoin (CURE) is a coin that is one of the leading providers of hashing power for the Folding@Home project and is one of the examples of how the blockchains hashing power can be utilized for good. TAO (TAO) is a very ambitious cryptocurrency that wants to revolutionize the music industry by changing the way the business model works. DubaiCoin (DBIX) is the native token of Arabianchain, a company stemming out of Dubai (UAE) that wants to introduce cryptocurrency and smart contract functionality in the region. CryptoBridge (DEX) is the crytpo-asset of a decentralized crytpocurrency exchange.